Enjoy two home-cooked courses from just £11.95 at your favourite Brasserie Blanc with our October set menu*. We’ve chosen pears to be our seasonal star this month – perfect poached, spiced and sliced, this gorgeous fruit is a brilliantly versatile ingredient which lends itself beautifully to all three courses on our set menu. To start, we have taken the classic partnership of pear & blue cheese to a new level, with the addition of dried apricots, walnuts & apples in this gorgeous autumnal salad. 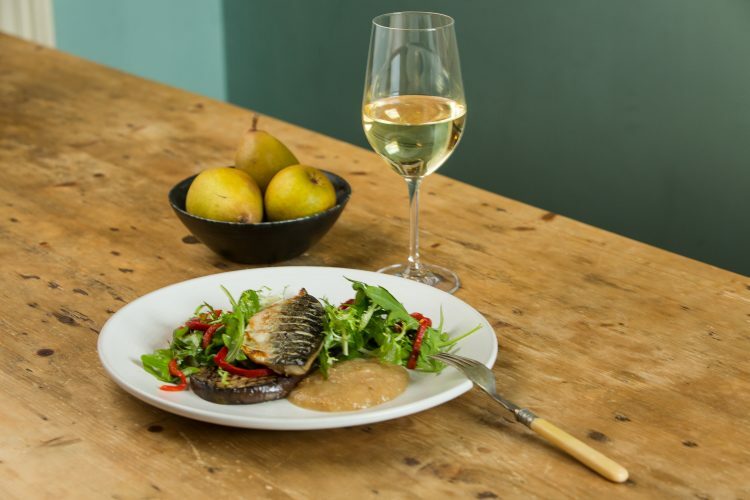 Follow this with grilled Cornish mackerel fillet served with our homemade apple & pear chutney, simple & delicious. To finish, indulge in our classic “Belle Hélène” pudding of poached pears topped with warm chocolate sauce and vanilla ice cream.